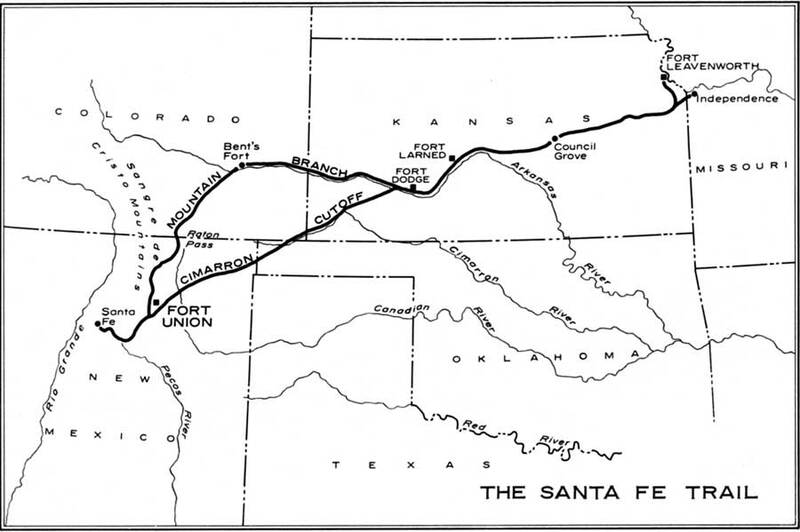 In June 1846 Susan Shelby Magoffin, eighteen years old and a bride of less than eight months, set out with her husband, a veteran Santa Fe trader, from Independence, Missouri, to cross the plains and mountains to the New Mexico capitol. 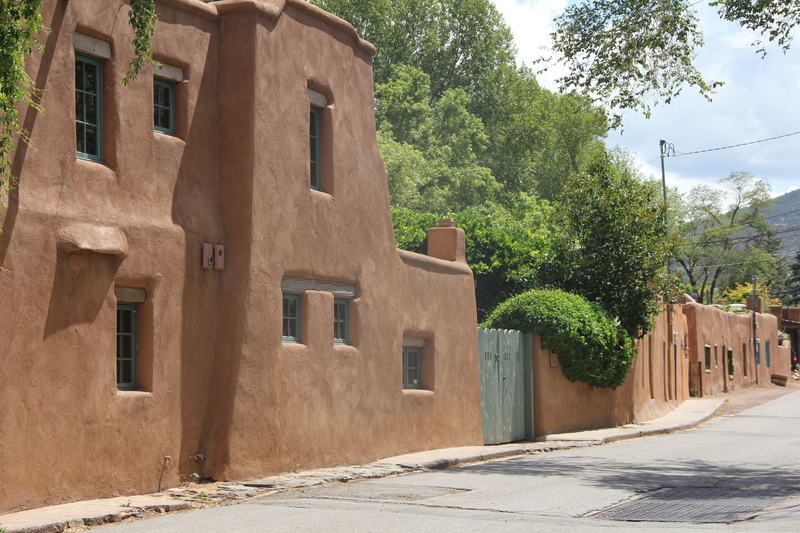 She was the first American woman to ride into Santa Fe. The places where the Magoffins would have stopped for the night and the sights they would have seen in New Mexico are virtually unchanged to this day – just a little older. 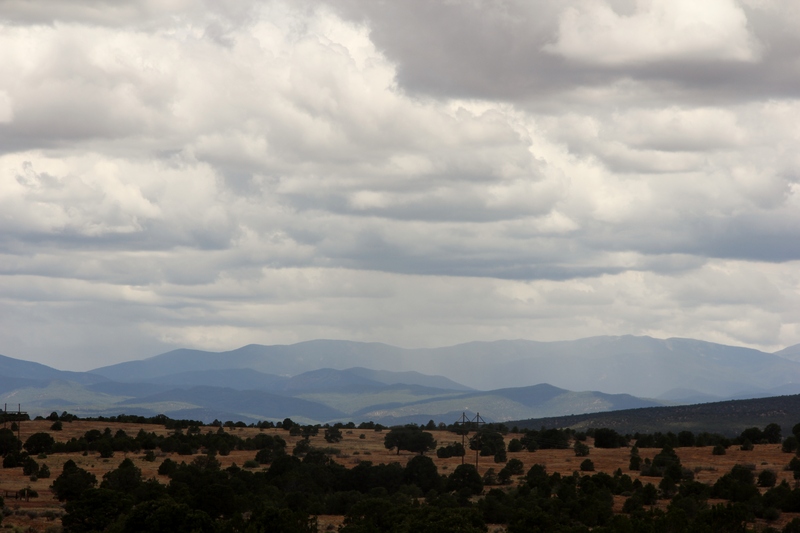 The excerpts from the diary of Susan Magoffin and these photographs trace the trail past Cimarron, Fort Union, Mora, Las Vegas, San Miguel and Pecos on the last leg of Down the Santa Fe Trail and into Mexico. The Jicarilla War . The war started when the Apache and the Utes began raiding against settlers on the Santa Fe Trail. 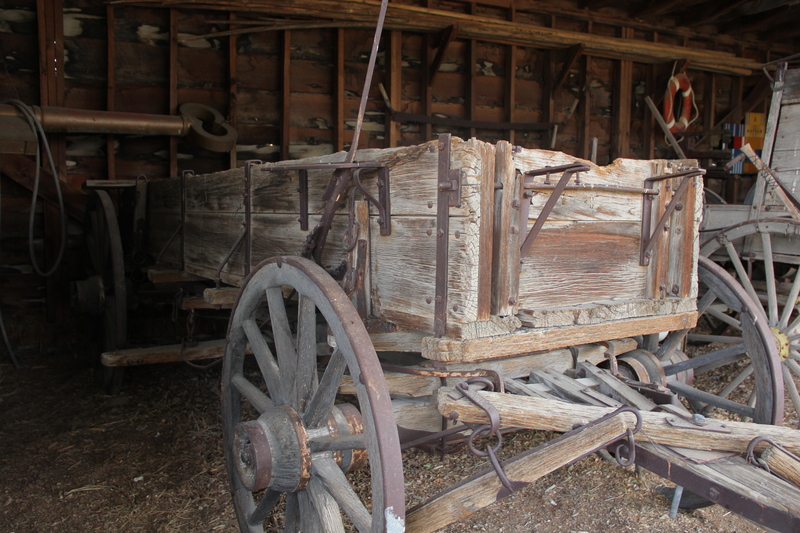 In 1849 a wagon of settlers was killed by the Jicarillas and Utes. The event received wide spread publicity. A year later a group of mail carriers were killed in what is called the Wagon Mound Massacre. Various incidents occurred that raised tension that led to mistrust and ultimately depredations…until the war of 1853 to 1854 when the army began operations. 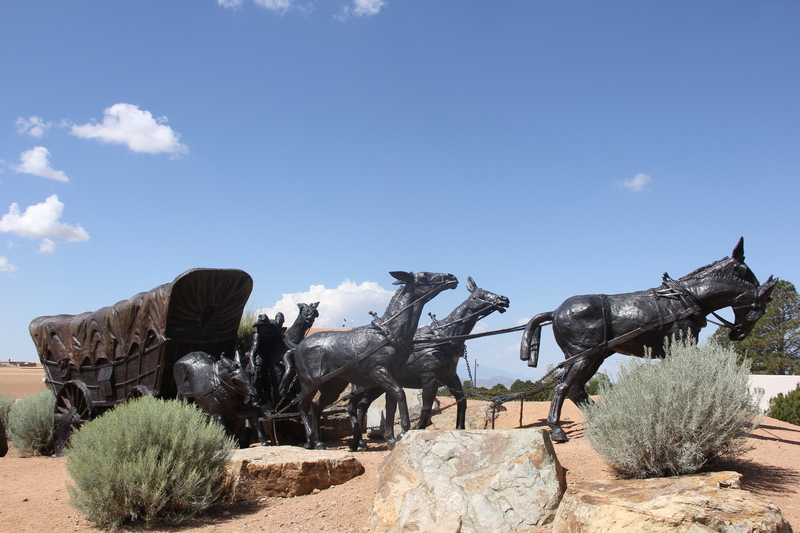 Cimarron was settled in 1841 and 20 years later had became an important stop on the mountain branch of the Santa Fe Trail . 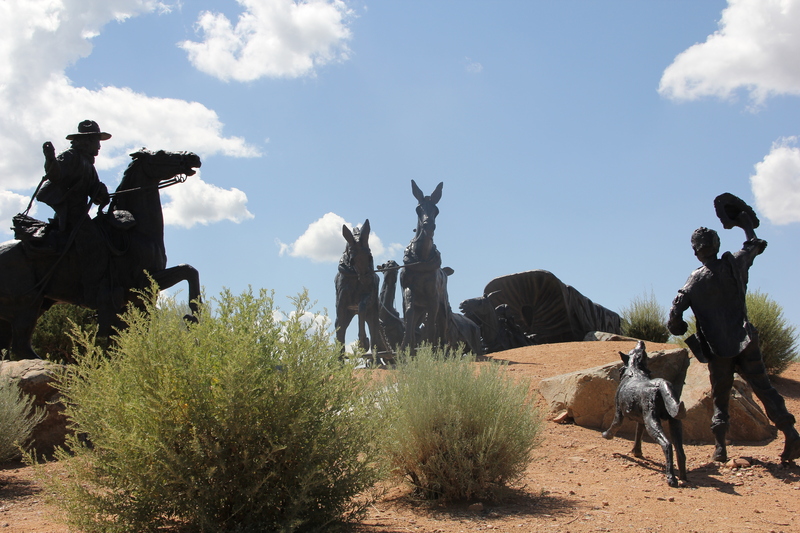 The Spanish name Cimarron meant wild or untamed. Some of the well known people to pass through town were Wyatt Earp, his brother Morgan and their wives, gunslinger Clay Allison, Black Jack Ketchum, Buffalo Bill Cody and Annie Oakley. 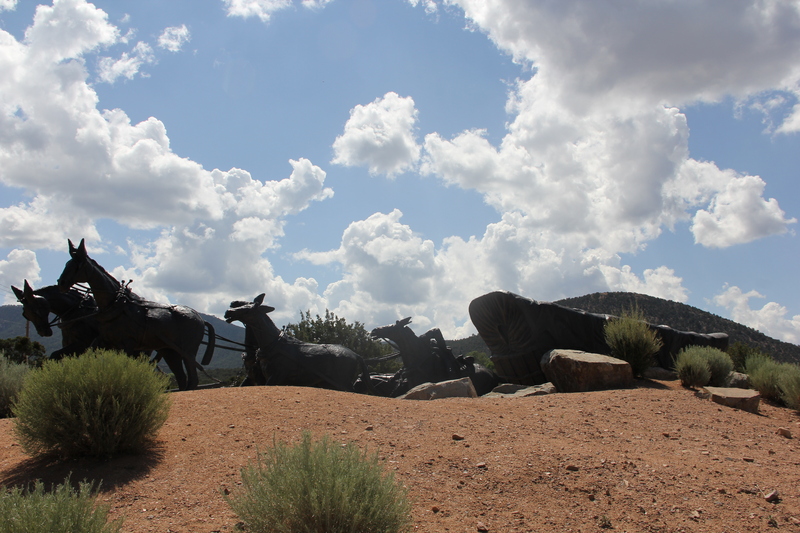 Cimarron was a popular place to get news, supplies and … entertainment. 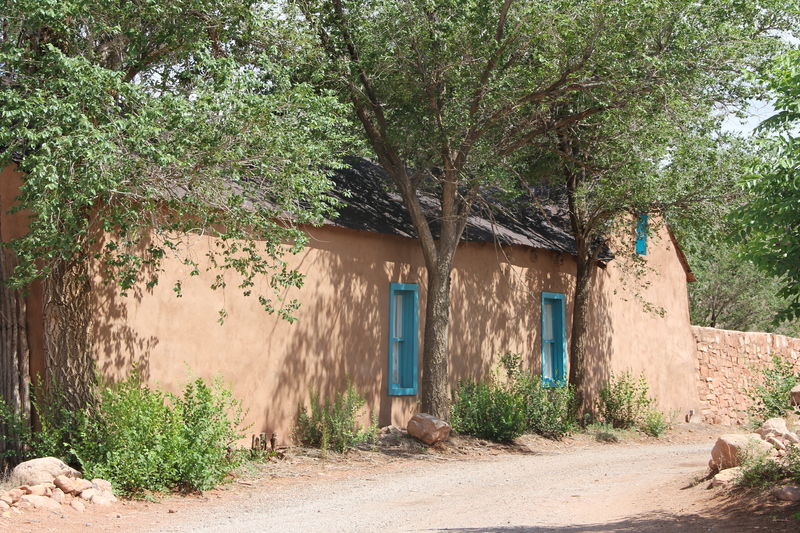 Fort Union was established in 1851 as a guardian and protector of the Santa Fe Trail. 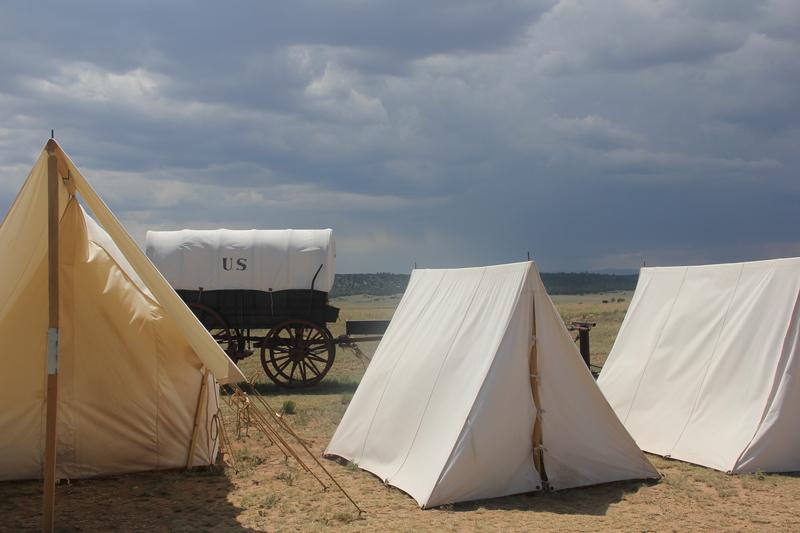 During it’s 40 year history Fort Union was the largest in the American Southwest and functioned as a military garrison, territorial arsenal, and major military supply depot for the southwest. The demands for flour at Ft. Union were large and increasing from 1863 to 1869 as Fort Union underwent significant rebuilding and expansion. 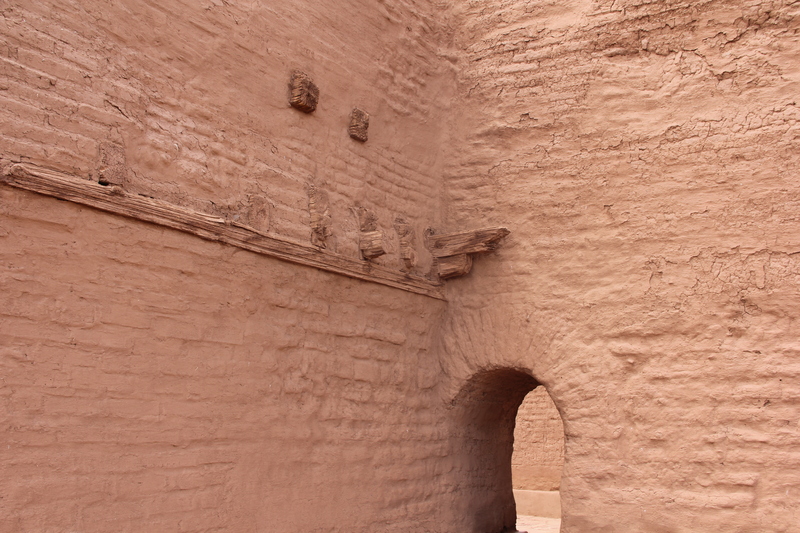 During this period there were over two thousand people at the Fort. 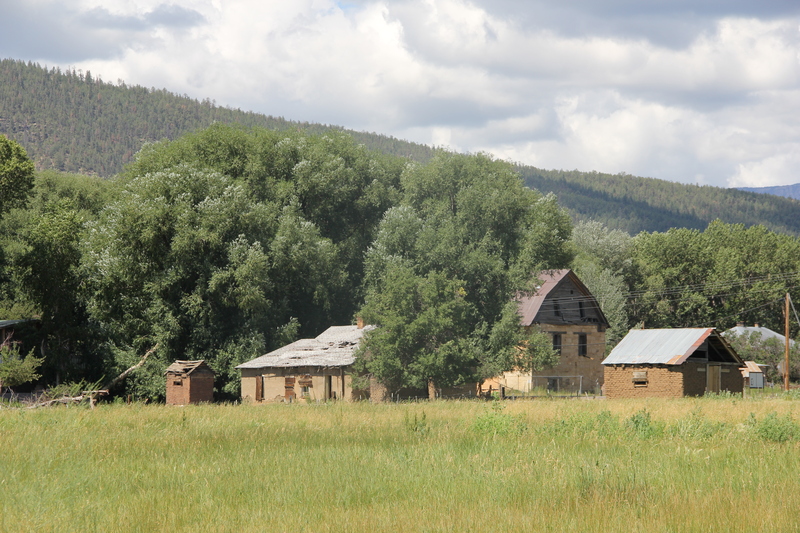 Ceran St. Vrain settled in Mora in 1853. He built a grist mill in 1864 and became a major supplier of flour, grain and fodder to Fort Union. In 1864 the Army moved 6000 Navajo Indians to a Reservation about 150 miles southeast of Fort Union and the Army was responsible for their food. St. Vrain had the contract for their feeding. 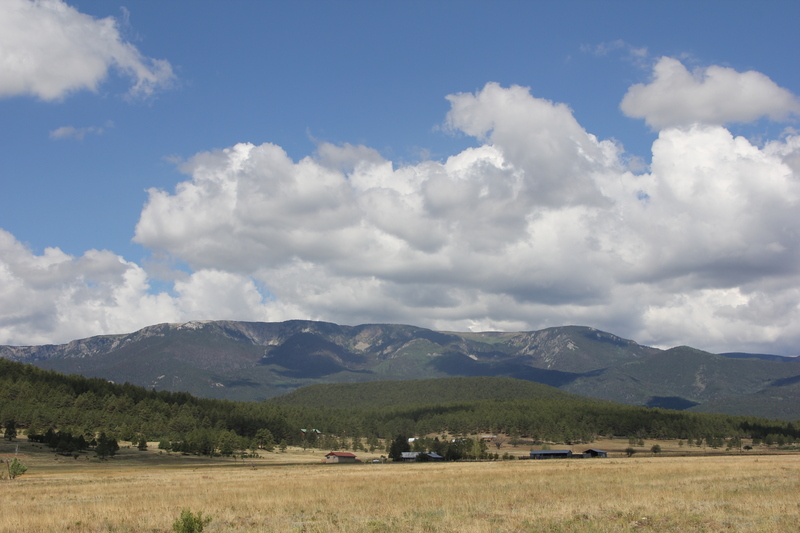 The Mora Valley became the bread basket for the southwest. Earlier in 1843, there was a raid on the town of Mora by Texas freebooters under Colonel Charles A. Warfield claiming that the people in Mora had purchased stolen beef from the Comanches. The Texans killed five men and took eighteen women and children captive as well as 75 horses. The people of the Mora Valley convened a posse, overtook the Texans, and sent them back to Texas on foot. 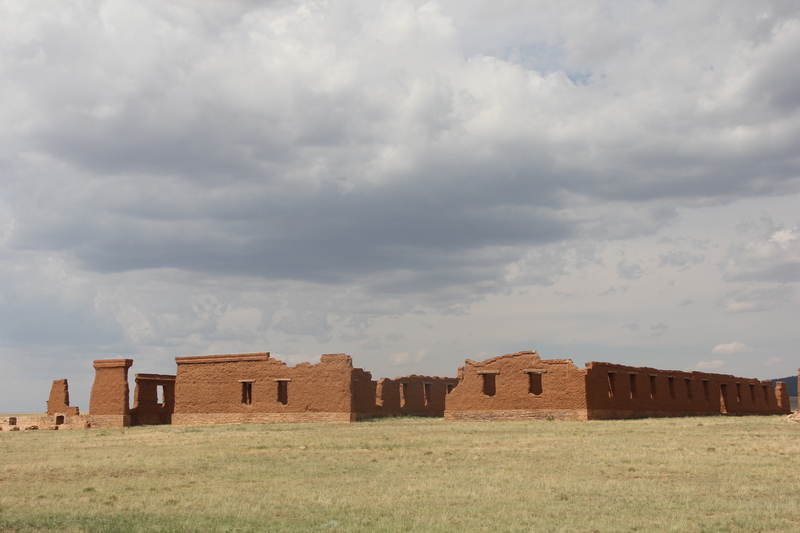 This sizable Pueblo community on the edge of the plains was occupied for 400 years. 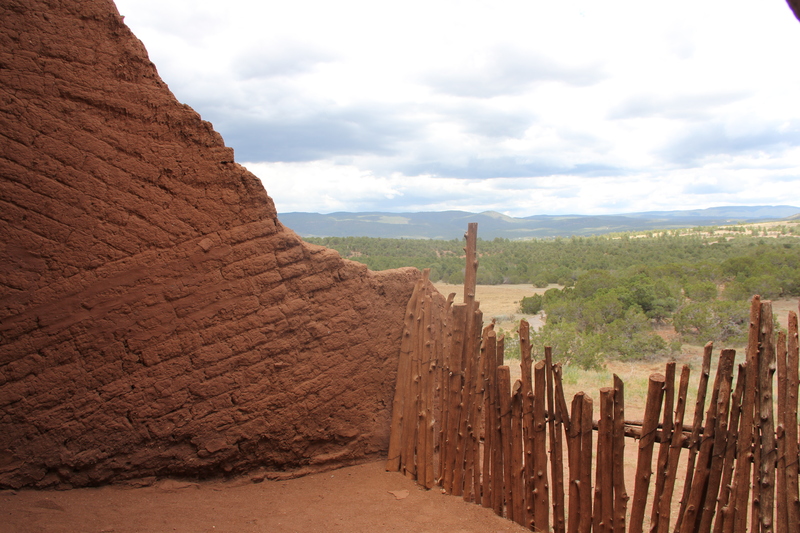 It was important in the history of the Spanish arrival in New Mexico, and the Spanish built and occupied a mission at the site for about 200 of those years. 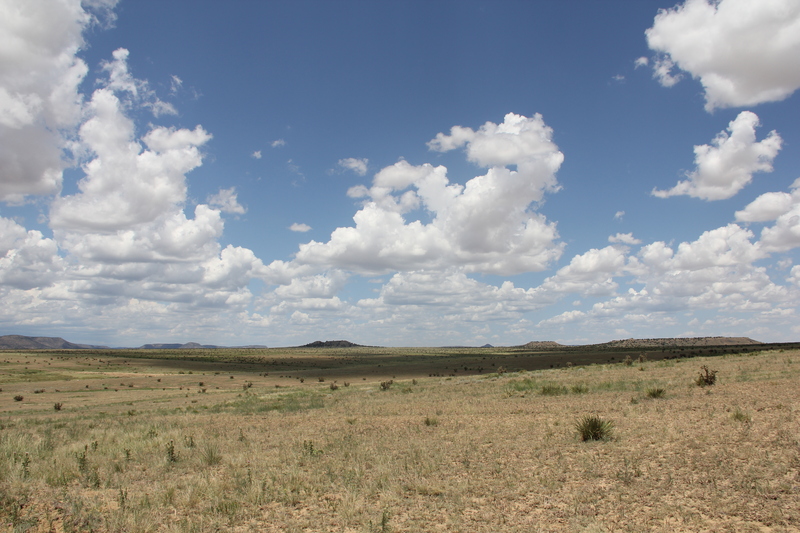 Pecos was visited by expeditionaries with Fransico Vasquez de Coranado in 1540. The Spanish mission church, Mission Nuestra Senora de los Angeles de Porciuncula de los Pecos, was built in 1619. 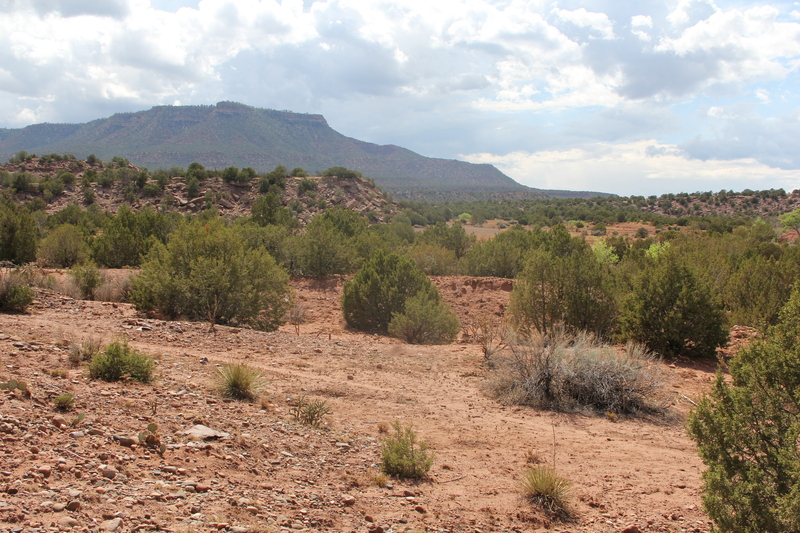 The site was abandoned in 1838, after the Pecos population suffered from marauding Comanches. “We arrived last night, and at such a late hour it was rather difficult for me to form any idea of the city. I knew it is situated in a valley; and is to be seen from the top of a long hill, down which I walked; this leads into “the street,” which as in any other city has squares; but I must say they are singularly occupied. On one square may be a dwelling-house, a church or something of the kind, and immediately opposite to it occupying the whole square is a cornfield, fine ornament to a city, that.” – Susan Shelby Magoffin. 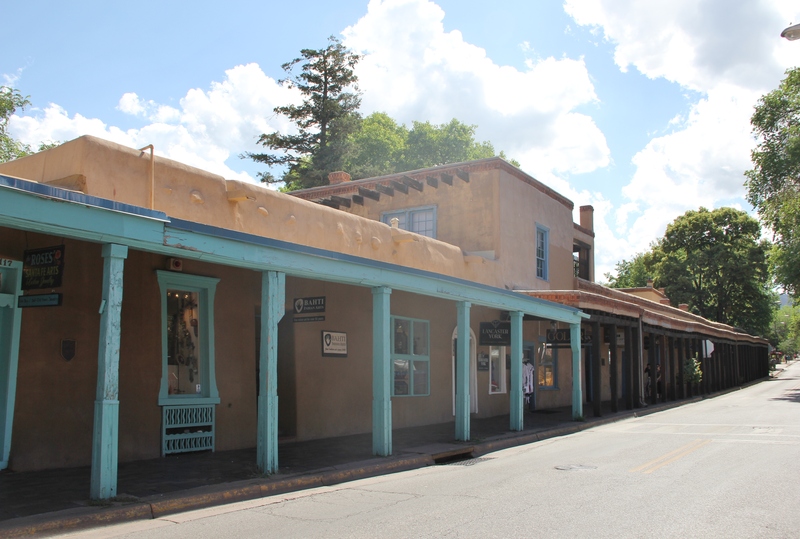 Surprisingly much of the old Santa Fe Plaza is unchanged, although there are no longer any cornfield. They do have a fabulous farmers market by the Railyard that you should visit if ever in town. 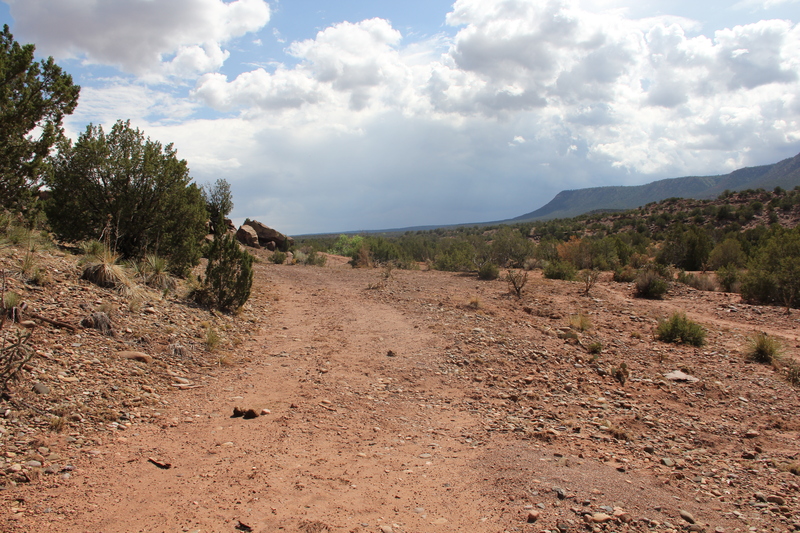 This entry was posted in environment, history, the hungry brain and tagged environment, hiking, history, New Mexico, photography. Bookmark the permalink. 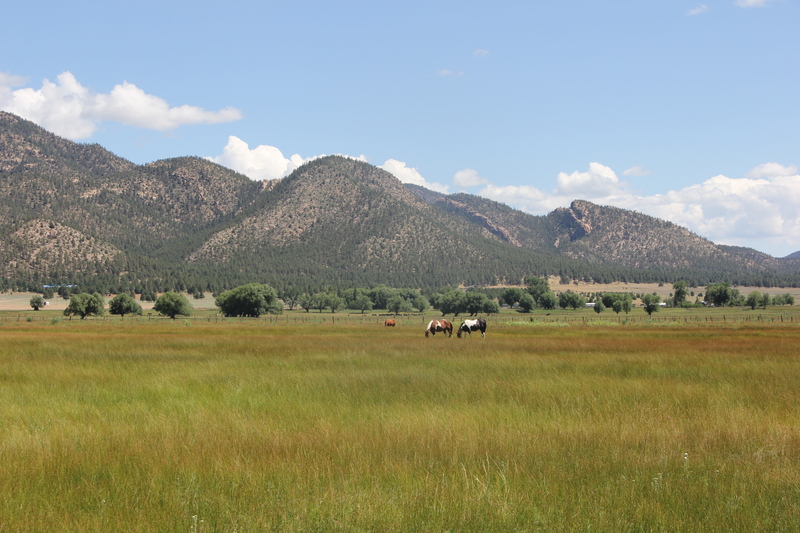 This is a very wonderful blog — may we share it on the Santa Fe Trail Association webpage? I have been to Susan’s childhood home in Kentucky. It is a typical southern mansion, and her up-bringing makes her journey all the more amazing. I would be happy to share photos of her home, or you can search on Facebook for Historic Shelby Manor at Arcadia Farm. 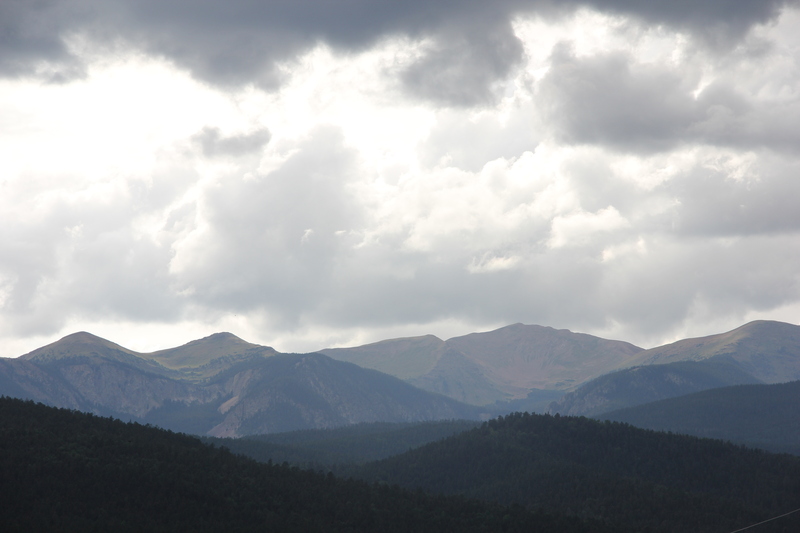 I would love to gain permission to use 2 or 3 of your photos on the new Mora County website I am building for them. Great writing, too. Thanks for the history and the pix. You are quite welcome. Thanks for visiting. I would love to know if Richard Magoffin my grandfather was related?? Aloha Jen. Can’t help you much there Jen you would have to do a genealogical search.Susan Magoffins life was fairly well documented after her diaries were discovered and published. I’ve been to several of those places, so I really enjoyed reading this. Thanks! These pix are just great …. Another fascinating story and pictures. What tough times they were for the animals as well as the people…. I am a new follower of this site. “The Hungry Brain?” Love it! I loved this post. I live in New Mexico. Thanks for sharing that. You do weave a great story and know how to do your homework. Thanks for a facinating journey. thank you so much for posting i have thoroughly enjoyed reading the diary and the pictures have made it come alive .. i havent yet go down to Sante Fe but i am sure i will visit the states again and the south east is where i am heading! Wonderful post that covers the territory I love. I have made the trek through Kansas southwest toward Santa Fe many, many times and never fail to think of those who passed before on the trail. Especially the women. Thank you for taking me there again through your beautiful pictures and narration. A really fascinating story, with wonderful pictures. What a fascinating account and journey…! The pictures are wonderful. Puts the “difficulties” of our contemporary lives in perspective.